Calling All Mermaid and Ocean Lovers! As the last mermaid slithered up on the beach to survey what happened on the Coney Island Boardwalk, she saw sparkles and shells pouring forth from all the community support seen so far in Coney Island. You too can be part of this necessary Merm-AID!!! Open your treasure chest and lend a helping fin! 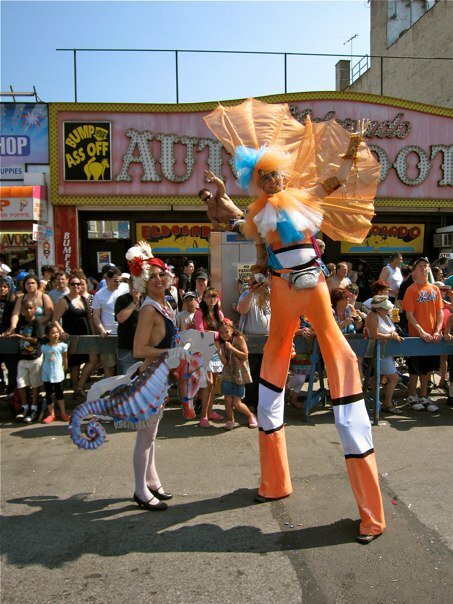 Photo by Barry Yanowitz, The Year Coney Island Voted me Queen of the Mermaids 2009! 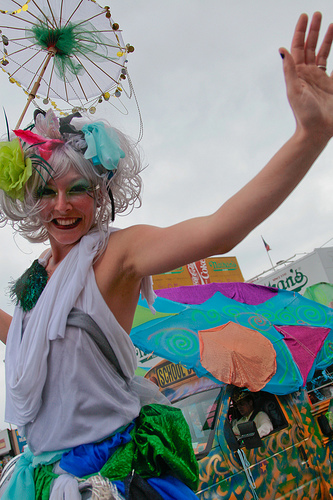 There is still a long way to go to bring Coney Island to the point where they can host the most ridiculously awesome parade in history- The 31st Annual Mermaid Parade!!! When I first found out about the mermaid parades existence my gills started opening up, my fins started splashing, and I could barely contain myself. 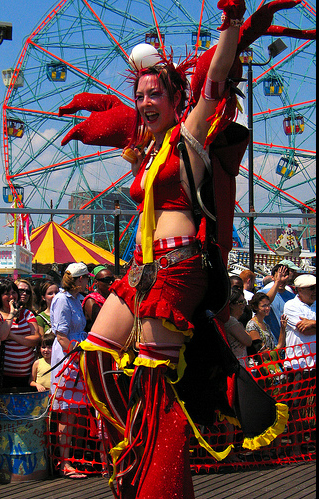 I am honored to hold a trophy as Coney Island’s Best Mermaid from 2009 as well as have organized my own float for the Mermaid Parade in the past- but really the best part of being a mermaid is getting to splash around with all my seaworthy brothers and sisters on the Coney Island Boardwalk! 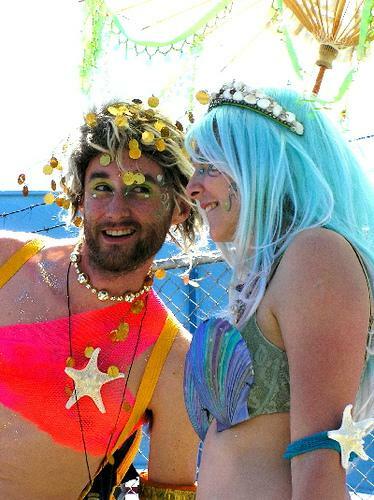 Justin and I’s first real date: Coney Island Mermaid Parade 2007! I identify greatly with being a Mermaid (A fairie-mermaid-unicorn at that)! 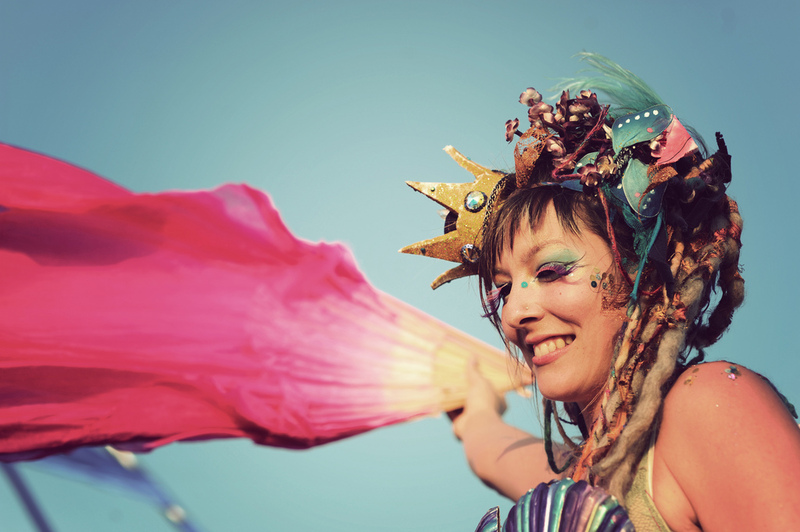 Each year I band together with my mer-sisters Kai Altair and Cynthia Carvajal to produce “Mermaid Lagoon.” Mermaid Lagoon is a non-profit event used to raise money and awareness for the ocean and all of its inhabitants! Keep your ear to the water for the next installment. 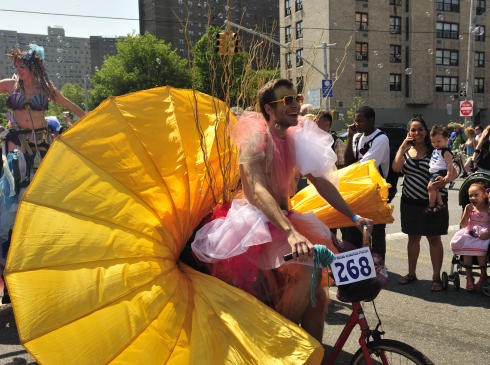 In the meantime- lets help the Coney Island Mermaid Parade Kickstarter Campaign swell well beyond their goal! 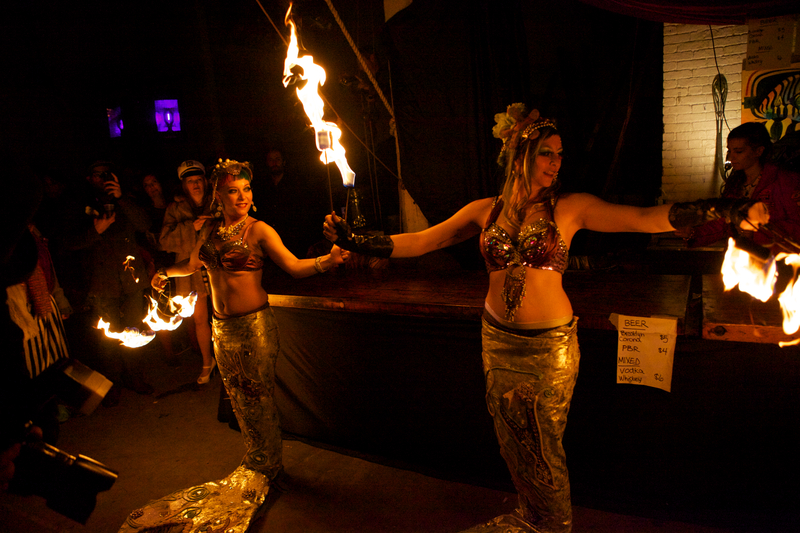 With your help we can keep the mermaids shining bright for all years to come! S P L A S H!